This item is one of Vitamix's Advance blender containers. 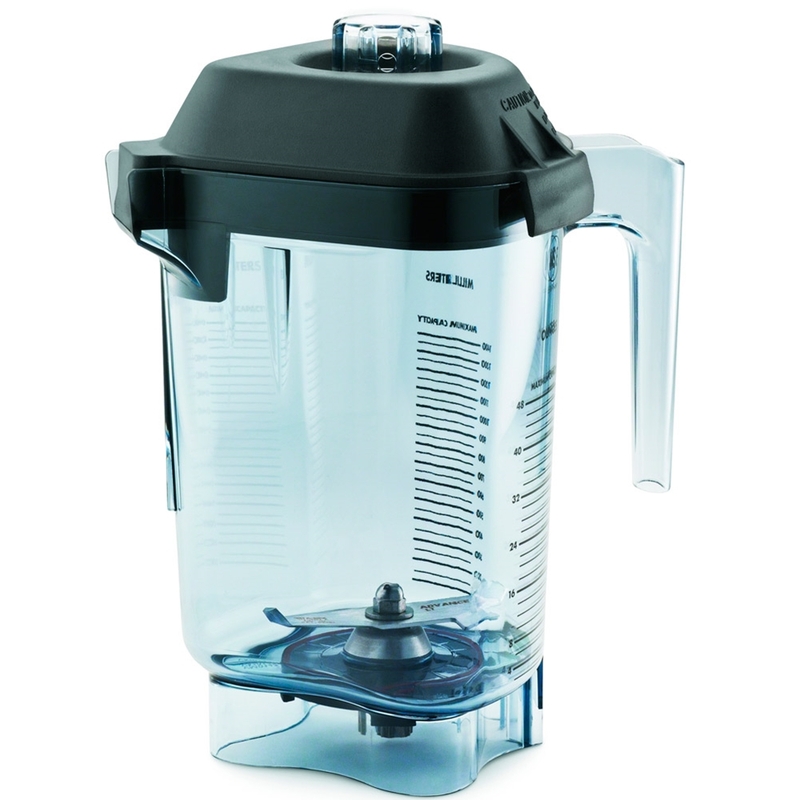 When needed to produce up to 48 ounces of blended food, this is the blender container jar for you. Made of shatter proof polycarbonate, this container has such a unique shape, it's unlike it's competition. It makes blending a breeze and pouring out finished blended contents even easier. With a dripless spout, the jar is designed to pour evenly without making a mess all over your kitchen countertops. Measurement markings can be found along the outside in increments to help you with precise measuring if you're trying to produce the same recipe again and again. Double-sealed bearings enhance the life of the blade while the open-style handle gives you the ability to stack this jar in to others all while saving space.